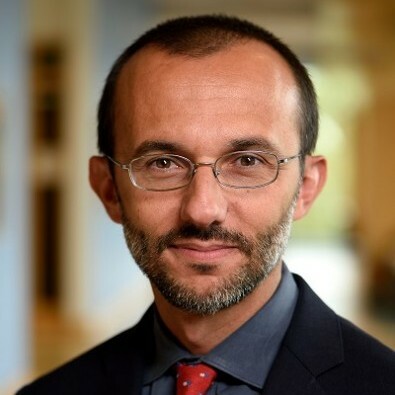 Mario Macis, PhD (Economics, University of Chicago) is an Associate Professor in the research track with expertise in the areas of prosocial behavior, morally controversial transactions, global health, experimental economics, development economics, and labor economics. He is also Associate Faculty at the Armstrong Institute for Patient Safety and Quality at the Johns Hopkins University School of Medicine, Faculty Research Fellow in the National Bureau of Economic Research (NBER), and Research Fellow at the Institute for the Study of Labor (IZA). Dr. Macis has been a consultant for the World Bank, the International Labor Organization, the National Marrow Donor Program, and the United Nations Development Programme. National Institutes of Health (NIH) “Creative and Novel Ideas in HIV Research (CNIHR) grant for “Behavioral nudges, information and incentives for HIV testing: A field experiment in Ecuador”, 2016-18. Johns Hopkins University Discovery Award, 2016. Johns Hopkins University early-career Catalyst Award, 2015. Johns Hopkins University Alumni Association Excellence in Teaching Award, 2013. National Science Foundation (NSF) Grant for “Field Experiments on Incentives and Blood Donations”, 2009-12. Economic Development and the Regulation of Morally Contentious Activities, American Economic Review (Papers & Proceedings), May 2017 (with Julio Elias, Nicola Lacetera and Paola Salardi).